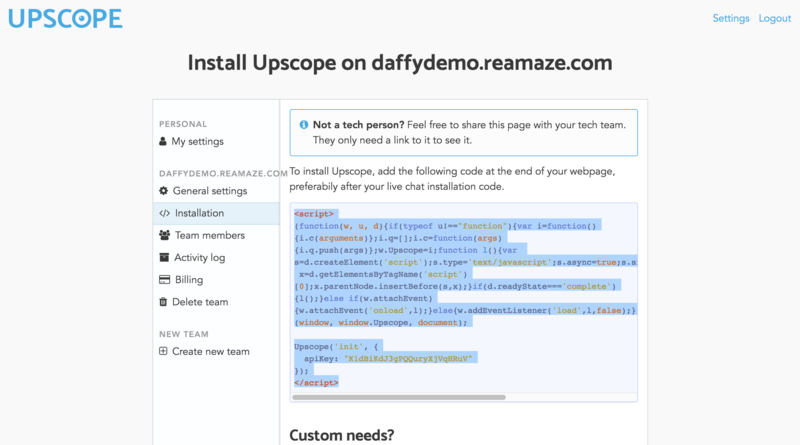 Upscope is a screensharing platform designed to help businesses better assist and guide customers. 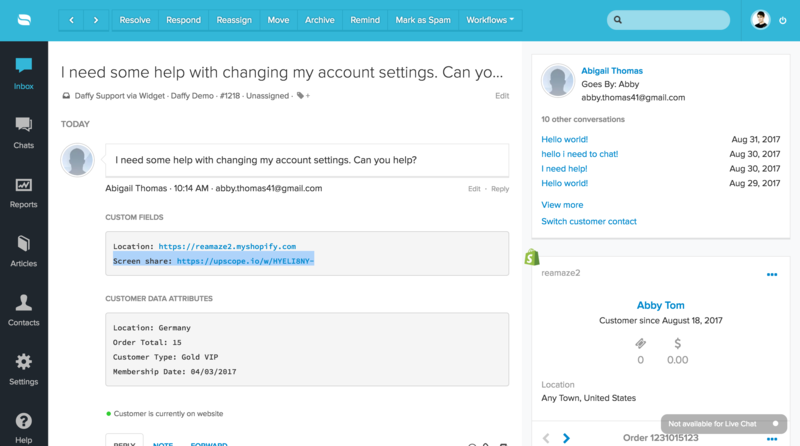 Screensharing and co-browsing is seeing rapid adoption in customer service because it can offer your customers a connected and highly engaging experience. 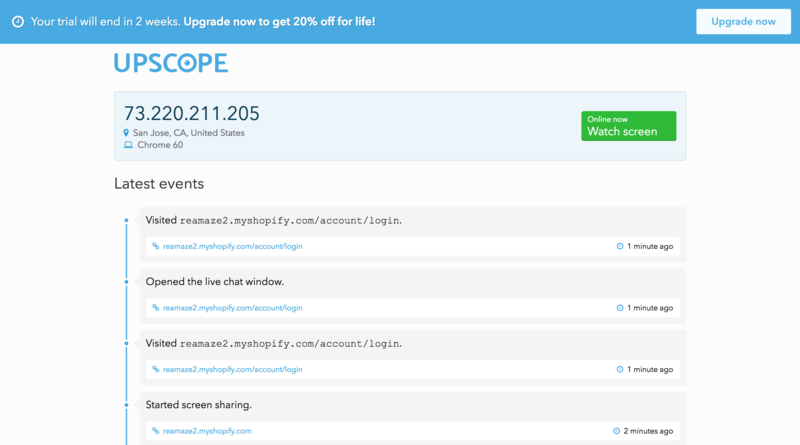 To use Upscope's screensharing and co-browsing platform, you'll need to first create an Upscope account. 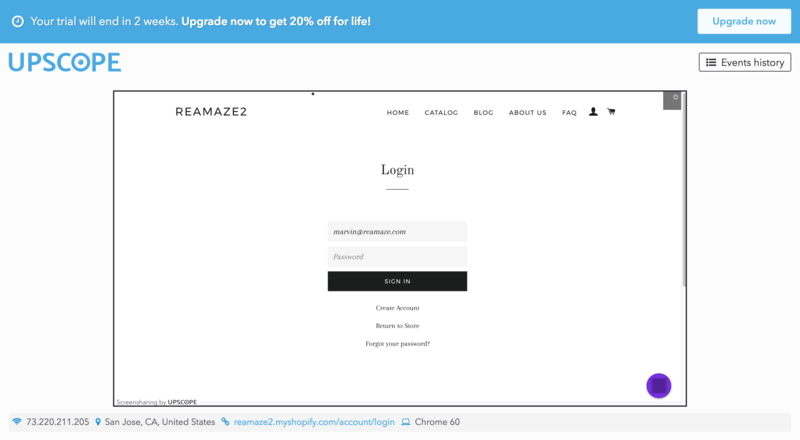 We've partnered up with Upscope to provide you with a lifetime discount if you sign up through Reamaze. 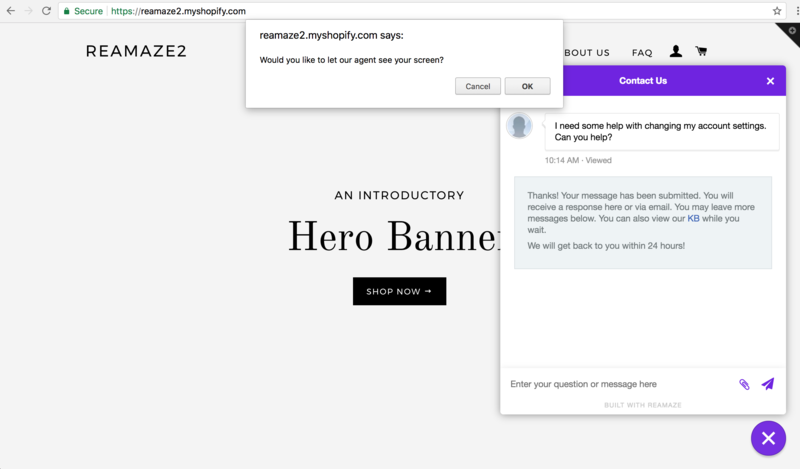 When customers message you via the Shoutbox or Lightbox, the incoming message displayed within the Reamaze UI will now include a screensharing link. 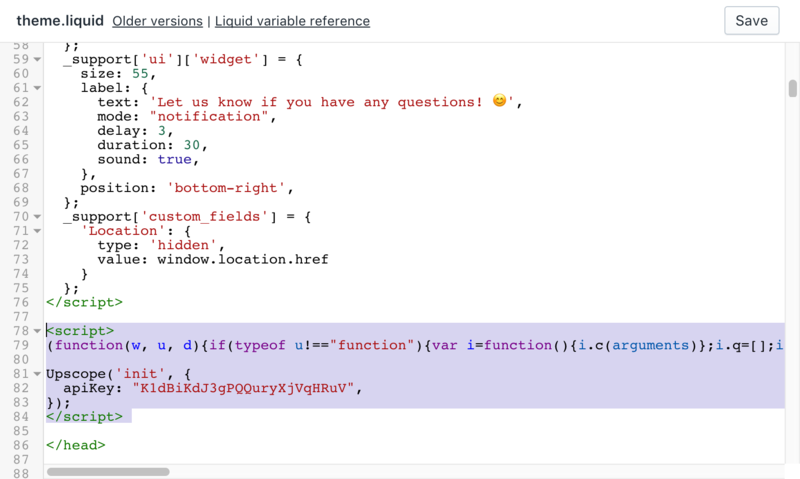 This is also accessible on Reamaze's mobile iOS/Android app or a mobile web browser. 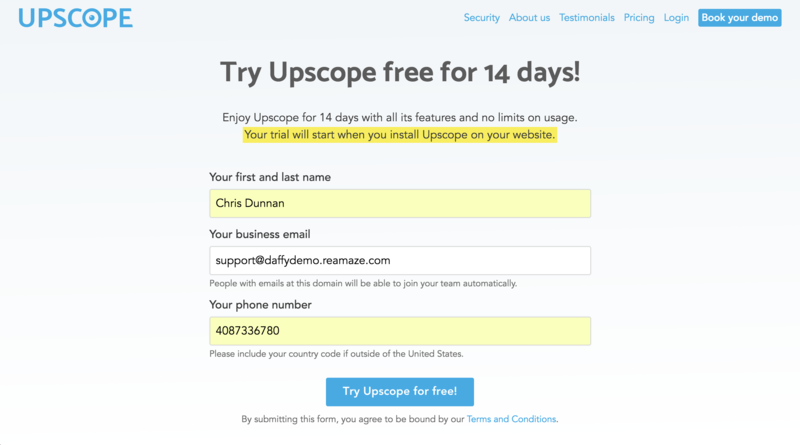 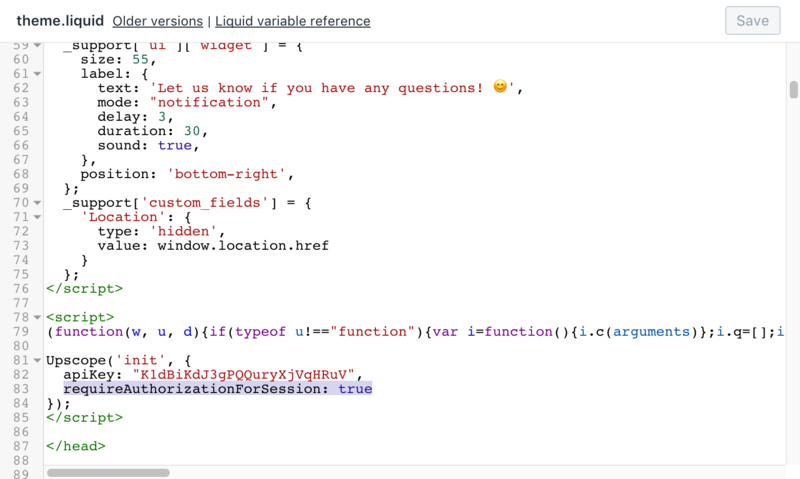 Clicking on the screensharing link will open your Upscope account, request you to log in, and also send the customer a permission request to view their screen. 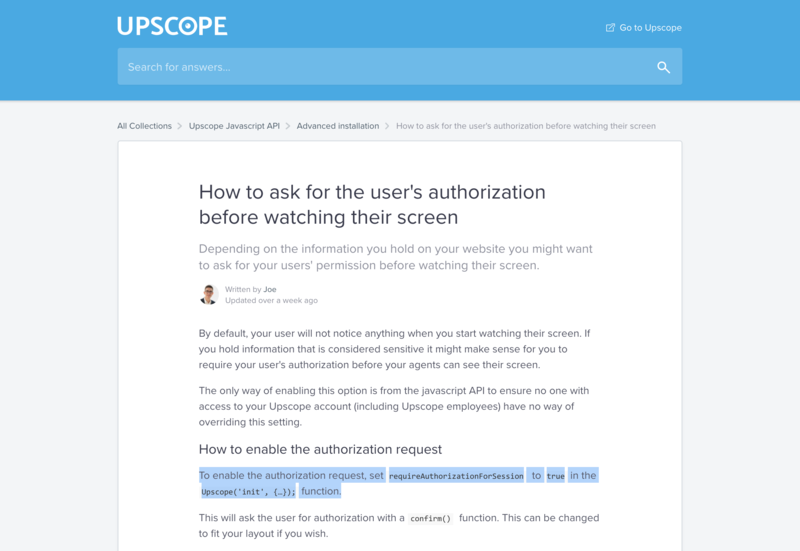 It's important to let your agents know that they will each need their own Upscope account or have access to a shared Upscope account in order to start the screensharing exercise. 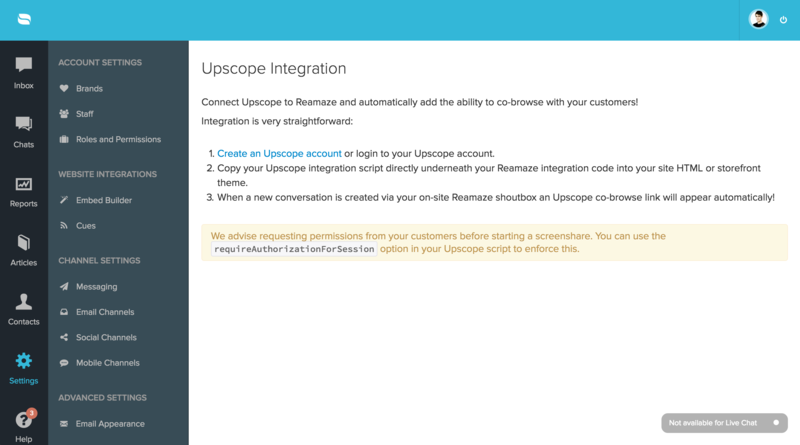 Once permissions have been granted by the customer, your agents will be able to screenshare and co-browse with the customer via Upscope's dedicated screensharing portal.